If you’re happy enough with the V-6, you don’t have to pay a lot extra and get the V-8. 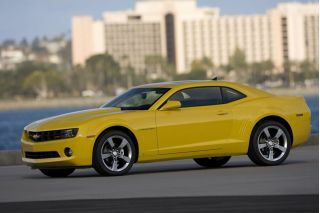 A new V-6 Performance Package will add the GT suspension, plus summer performance tires, a strut tower brace, and more. The 2011 Ford Mustang lives up to all those juvenile, tire-smoking pony-car expectations; at the same time, it’s an unexpectedly capable, sophisticated coupe. The 2011 Ford Mustang looks virtually the same as last year’s model, but new engines and other improvements make it a better drive—and better equipped—in just about every way. With either the all-new 412-hp V-8 in the GT or the new 305-hp, 3.7-liter V-6 in the base models, it’s both faster and more fuel-efficient. Highway fuel economy rates as high as 31 mpg with the V-6, or 31 mpg for the GT. V-8 pony-car aficionados will be thrilled to hear that the "5.0" is back. With lots of torque, good throttle response, and a rev-happy, rorty attitude, the new engine feels just right and enables the sort of performance that only exclusive tuner versions could provide a few years ago. To match the new powertrains, the 2011 Mustang models get upgraded brakes, as well as body and suspension enhancements; they all get electric power steering. The Mustang received a complete refresh last year, for 2010, with reshaped sheetmetal on the outside, along with an updated center stack and audio controls; those changes carry through to 2011. Just as before, the Mustang is available either as a Coupe or Convertible, both in GT or V-6 form, and the Convertible comes with a reasonably tight, well-designed soft top. Ford is finally catching on to both the Mustang’s personalization potential and its appeal with tuners; both models can be equipped with special paint schemes, hood scoops, and such, and new to the V-6 is a performance package—aimed at weekend racers—that adds most of the GT’s goodies for an affordable price. In keeping so rigidly to the same formula with this pony car’s design for decades, Ford could have penned itself into a corner, yet the 2011 Ford Mustang still manages to look fresh. The Mustang is one of the few vehicles that bear instant identification, whether looking at its unmistakable silhouette or its up-close pony-car details—some of which hark back to the 1960s. In the way of vehicles like the Volkswagen Beetle and Mazda Miata, the Mustang is iconic. Fortunately, Ford hasn’t messed with a good thing—and it hasn’t needed to. Last year Ford introduced a set of major improvements on the Mustang and extensively redesigned its exterior, lending it a more aggressive look, while at the same time making the exterior proportions a little tidier and leaner. It’s kept the classic coupe stance but given the Mustang crisper, more retro details in front and in back. Sheetmetal just last year was redone to yield a more voluptuous, aggressive appearance overall. Those details are carried over to 2011. Inside, the Mustang retains its retro style, with deep-dish, classic-look gauges and a squared-off instrument panel and prominent center console with bright finishes and a metal shift knob. There’s no curviness here; it’s intentionally a little bit stark, yet nice two-tone themes and a retro-mod steering wheel have kept up the look. The new 2011 Mustang GT is wildly fast and wildly fun, while the base V-6 ‘Stang is a new budget performance benchmark. Two new engines and various other engineering improvements make the 2011 Ford Mustang a better performer and more enjoyable to drive. As we also mentioned in our drive of the V-6, these new Mustangs completely recalibrate your performance and value expectations in a muscle car or sports coupe. The base V-6 engine in the Mustang had been a weak link for a long time, but this year that changes with a new 305-hp, 3.7-liter V-6. Now, there’s good throttle response and plentiful low-end torque. Thanks to Ford's TI-VCT variable valve timing, the V-6 builds steam all the way through its range in a way the old V-8 didn't. And it’s rated up to 19 mpg city, 31 highway with the six-speed automatic. If you drive lightly, it’ll return numbers well into the 20s. This V-8's 412 horsepower easily slams the 390 hp that the Shelby Cobra produced a few years back, and in some real-world driving it can put out a level of thrust that's awfully close to what you'd get from the GT500. It feels happy pounding out the torque as low as 1,500 rpm yet roars up to 7,000 rpm. There's no recognizable torque plateau; power simply builds all the way. There's so much torque on command, even just above idle, that you have to roll into the throttle carefully out of tight turns. An abrupt change in pavement surface during a full-throttle pass didn't provide the shock that we anticipated, but overall this is definitely a car that begs to be driven hard, yet rewards the driver for some level of finesse and restraint. The GT also sounds great—a deep authoritative bellow that turns heads more than the resonated sound from the bigger V-8 in the Camaro SS. It has the capability to pin you back in your seat with almost supercar thrust, no matter what the gear, or commit seemingly unlimited acts involving smoky burnouts. With 0-60 times expected in the low four-second range, the GT now delivers the straight-line acceleration of exotics just a few years ago. Even though it kept the old solid-axle rear setup, the Mustang's suspension was also extensively redone. We noted it took a plant more easily into corners and dealt much better with choppy pavement and mixed surfaces. The 2011 Ford Mustang GT really doesn’t feel differently sprung than the V-6, and it steers and handles just as well—provided you're careful with the power. Ford adds that damper tuning and spring rates were again revised for the new setup, while new rear lower control arms and stiffer stabilizer bar bushings help cornering stability. Notably, brakes have also been upgraded on V-6 Mustangs. In both cars, the new EPAS electric power steering system tracked well, while the suspension held on through rough sections of pavement better than we would have ever hoped for a design that still relies on a solid axle in back. 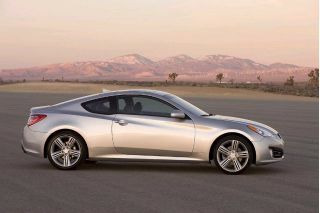 Enthusiasts will definitely want to opt for the Coupe, as we noticed a decrease in stiffness in convertibles. Our favorite is the Coupe with the available glass roof, which lets the light in like a Convertible but maintains the Coupe's stiffness. The six-speed manual is the way to go, as the clutch in the V-8 takes up just as easily as in the V-6, and the six-speed automatic doesn't offer any true manumatic control. For a rough-and-tumble pony car, the 2011 Ford Mustang has good seating for two, along with decent trunk space, but make no mistake, those backseats are sport-coupe backseats. Very little has changed about the Mustang’s overall package. Through the years, it’s stayed about the same size; however, Ford has managed to squeeze a little more interior comfort out of the Mustang’s cabin, as well as quell some of the interior noise and vibration. It’s all relative; while the 2011 Mustang is roomier and more comfortable than the 2011 Chevrolet Camaro (which lacks enough headroom for anyone much over six feet tall and can feel like a bathtub for smaller occupants), it’s still a sport coupe. It’s a boulevard cruiser at heart; seating is low and snug, and if you like to drive with in a proper forward-perched driving position you might find yourself a little too close to the windshield header. To complicate matters, the steering wheel doesn’t telescope, and we find pedal placement on automatic-transmission models odd, with the brake pedal several inches higher than the gas. That said, the Mustang remains a reasonably practical vehicle, especially as a Coupe. Trunk space is quite good, with a decent opening and plenty of space to fit a large suitcase and a few other bags. In convertible form, the trunk space isn’t appreciably different. The Mustang Convertible’s seating in back isn’t bad; it’s one of the few vehicles with a backseat that’s large enough for smaller adults—once you get them wedged in. The Convertible’s power top is easy to operate, but it still does require two latches at opposite ends of the windshield to be fastened. Considering the Mustang’s status as a performance coupe, it rides surprisingly well on all but the roughest stretches of pavement. While Ford has surely let a lot of the sonorous engine note—in the GT especially—enter the cabin, there’s relatively little road and engine noise. The 2011 Ford Mustang is missing the high-tech accident-avoidance features of high-end performance or luxury cars, but all the occupant-protection essentials are there. The 2011 Ford Mustang hasn’t yet been crash-tested by either the Insurance Institute for Highway Safety (IIHS) or the National Highway Traffic Safety Administration (NHTSA), but we’ll update this review when the information becomes available. The 2010 Mustang, which was closely related structurally, got top five-star results from the feds. 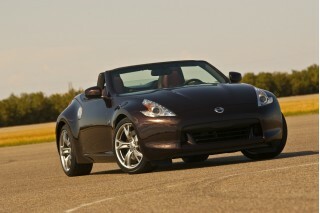 Even the Convertible received top "good" ratings from the IIHS—after a retest—so we expect solid scores. As recently as a few years ago, the affordable pony cars went without modern safety systems like stability control, but that’s now included on all 2011 Ford Mustang models, as are seat-mounted side-impact airbags and anti-lock brakes. Ford now also features a "black box" event data recorder and a SOS post-crash alert system that will activate the hazard lamps and sound the horn if the airbags are deployed. Visibility is definitely hindered in the Convertible with the soft top up, but it’s not nearly as bad as in some drop-tops. The scrappy, basic Mustang of your memory is history. 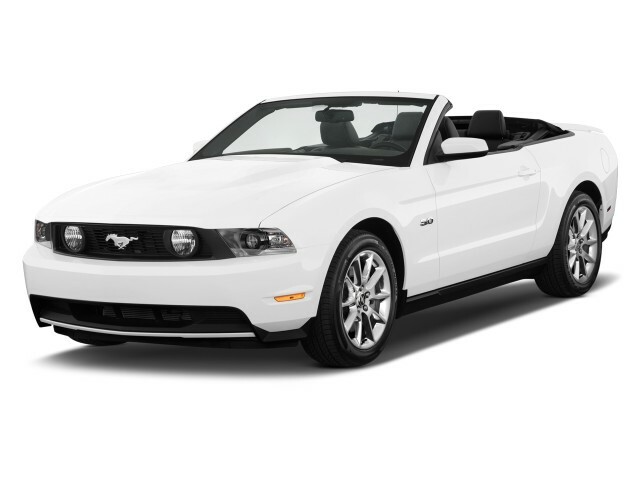 Surprisingly, Ford offers nearly all the tech features on the 2011 Mustang is it does on its other vehicles. The base 2011 Ford Mustang Coupe comes with several innovative features that aren’t rivaled among budget-priced sporty coupes. One of them is the impressive SYNC voice-activated hands-free system, which allows access to both phones and media players. It includes steering-wheel audio controls, as well as real-time traffic and turn-by-turn navigation functions. It's also standard on all Mustang models but the base V-6. SYNC, surprisingly, still isn’t available at all on base-level Mustangs. The programmable MyKey system, which allows parents or fleet managers to program speed limits and other warnings, is standard on all 2011 Ford Mustangs, along with a lot of traditional extras, such as keyless entry, power windows, and cruise control. Premium trims add the bass-heavy Shaker 500 sound system plus Sirius Satellite Radio, leather upholstery, aluminum pedal covers and scuff plates, and a MyColor ambient lighting system. The optional electronics package brings Sirius Travel Link services and HD radio, plus a dual-zone climate control system. 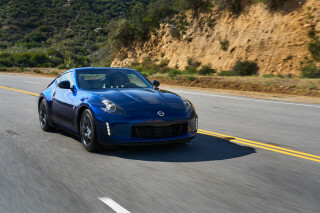 HID headlamps, a glass roof, and a rear camera are stand-alone options on Coupes, while an integrated blind-spot camera and universal garage-door opener. Otherwise, most of the packages and individual options are appearance-related. For instance, a GT Coupe Accessory package adds a hood scoop and spoiler—or side scoops and louvers—while a host of upgraded wheels are on offer. On GTs, a Brembo Brake Package adds upgraded summer performance tires on special wheels and includes a recalibrated stability control system, as well as specially tuned suspension to help get the most out of it. On V-6 models, a V-6 Performance Package adds many of the GT’s chassis upgrades (except the engine, of course). A 31-mpg Mustang? That's a green car we never thought we'd live to see. With a new V-6 version, the Mustang hits an all-time high fuel-economy rating of 31 mpg, according to the EPA's highway cycle. By trim lines, the Mustang's gas-mileage ratings span a wide range. With the V-6 and a six-speed automatic, the official numbers are 19/31 mpg; with the six-speed manual, this version earns 19/29 mpg scores. The V-8 engine doesn't cut into economy as much as you might expect. With the automatic, it's rated at 18/25 mpg; with the manual, it's 17/26 mpg. The Shelby versions with the larger V-8 engine are significantly less economy-minded, as you'd expect. They're rated at 15/23 mpg. Very good and powerful car for a way less money then German or Japanese same powerful cars. Very reliable as this is n/a engine car. Very good and powerful car for a way less money then German or Japanese same powerful cars. Very reliable as this is n/a engine car. More powerful than V6, less than Shelby GT500 but with few modes and a... Very good and powerful car for a way less money then German or Japanese same powerful cars. Very reliable as this is n/a engine car. Beautiful car but could improve on the Sync system.